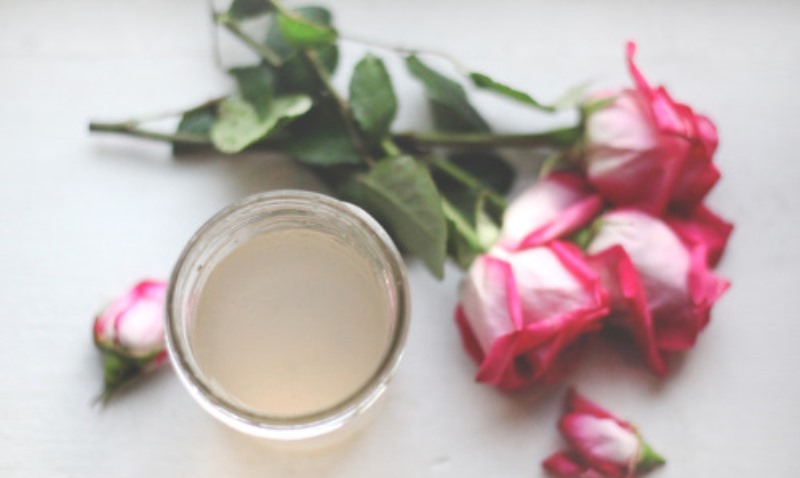 What makes rose water so great for our skin? Well, there are numerous benefits of rose water, and I could take an entire day to just walk you through the advantages of using a rose water based skin product. In today’s post, I will tell you all about choosing the best rose water toner, but before that let me tell you why rose water makes for a good toner. The use of rose water in skin care products is not a new trend. This practice has been going on for centuries. 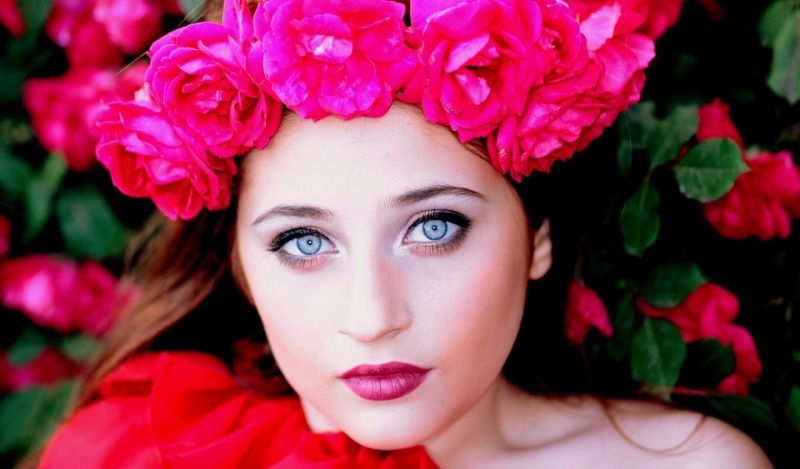 People have embraced roses in their beauty rituals, from bathing in rose water to topically using them as an oil. Rose water is antibacterial. This makes it effective in preventing skin break outs. Therefore, if your skin is prone to such breakouts like pimples or acne, then you need to invest in a rose water toner right away. Rose water toners also work wonders on people who are susceptible to skin conditions like dermatitis, eczema, and sun tan. Also, rose water is known to soothe skin aggravations and irritations. Rose water is antibacterial, and therefore, prevents skin infections from occurring and spreading. Rose water boosts the hydration of the skin. It moisturizes the skin, and so, diminishes the early signs of aging. Rose water tightens our skin, and yet it does not make it dry or even overstretched. Rose water is also a great cleanser. 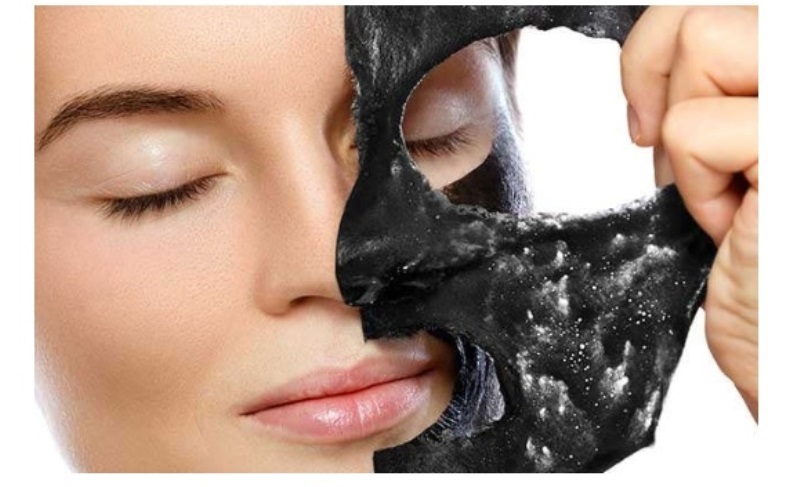 It cleans the skin from within; by unclogging the pores, it makes the skin more vibrant. Rose water is also known to reduce the pore size, thus making the skin suppler than before. When picking the most amazing rose water toner for your skin, there are a few things you need to check. When investing in rose water, make sure it is both clear and transparent. You should completely avoid those formulas which have an added color, because chances are these products are not natural, even if they claim to be so. Next, you need to pay attention to the fragrance. If the rose water does not have the rose or floral scent, but smells somewhat rancid, then it is probably not good to use anymore. You need to look at the product label for a while and read all the ingredients to be extra sure that you want this product. 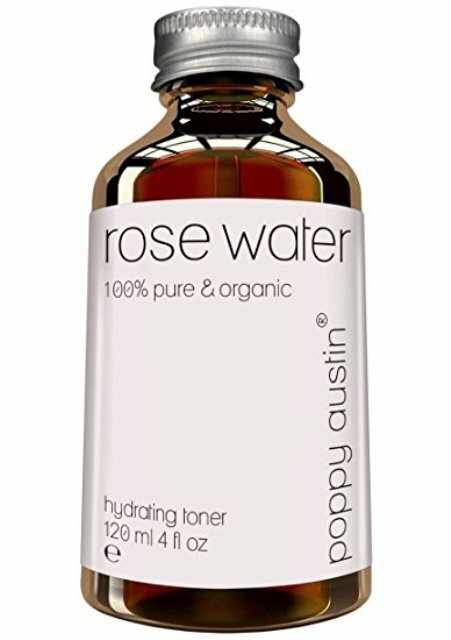 A good rose water toner should not contain alcohol. Alcohol tends to overstretch the skin and make it dry, and therefore, should be avoided at all costs. Before we tell you about the best rose water toners available in the market, let us first talk about the benefits of rose water. Rose waters help you get rid of acne, and that’s amazing, isn’t it? By reducing the inflammation generally caused by acne, the rose water prevents it forming in the future. 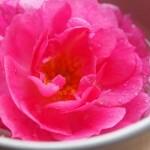 Rose water also has antiseptic properties which heal the skin. Due its cooling effect too, rose water is known to calm the skin and prevent irritation of any kind. The second benefit of rose water is that it is an anti-aging agent. 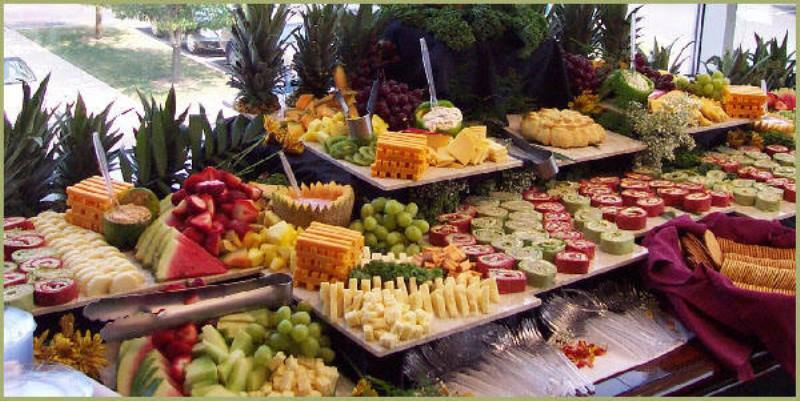 It helps keep your skin younger and more vibrant. It will prevent the appearance of fine lines around the eyes and the lips, which are known to be the earliest signs of ageing. The vitamins present in rosewater are known to make the skin look fresher and make you feel relaxed. If you skin is very dry, then you can ditch your regular cleanser and apply rose water toner to clean your face twice a day. 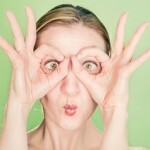 Rose water treats puffy eyes like no other beauty product, natural or otherwise, out there. If you tend to wake up with puffy and red eyes, then all you need to do is soak a clean cotton pad in some rose water toner, and place it on your closed eyelids for about 15 minutes. Do this regularly for a month, and you will see visible results. Since rose water contains moisturizing properties, it reinvigorates the skin, by restoring the moisture level of the skin and by hydrating it intensely. The toner can smooth your skin by hydrating it, and by doing so, prevent the formation of wrinkles and fine lines. Rose water is known to treat scars and wound because of its anti-inflammatory and antibacterial properties. It is because of these reasons that you will see rose water as a primary ingredient in soothing creams and ointments. Rose water treats the wounds, and by killing the bacteria, prevents the infection from spreading to other parts of the body. Rose water contains vitamin E and vitamin A. Considering this, rose water toners can helps get rid of the dead skin cells and the dirt and the grease that clog our skin pores. By getting rid of these cells that accumulate on the surface of our skin, rose water toners, automatically, brighten up our skin. If you clean your face regularly with rose water based cleanser or a rose water toner, you will see that it restores the life of your tired and dull face in no time. Now that we have skimmed through the benefits, let us quickly have a look at the best rose water toners available in the market. 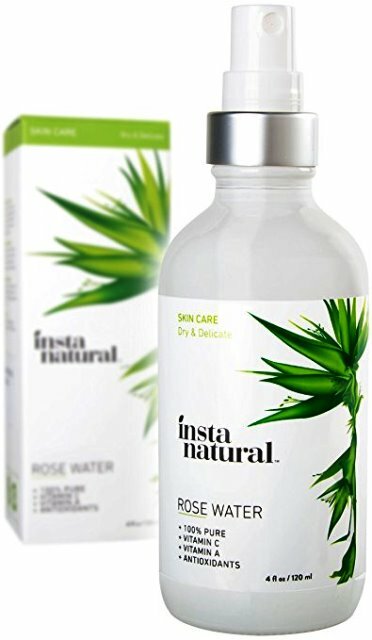 The first product on our list is the InstaNatural Moroccan Rose Water which doesn’t contain any kind of unnatural ingredients or even any synthetic fragrances. Since the toner is made of 100 per cent rose water, you can expect the purest effects of the formula. This toner works for all skin types, so you need not worry. Even when it comes to preparing sensitive or acne-prone skin for serum, moisturizers and makeup, you can rely on this toner to help you through the process without any pain. This toner not only acts as a toner, but can also be used as a facial mist. It refreshes your skin and your mood, after a hard day at work, or whenever you need to feel fresh and happy. The InstaNatural Moroccan Rose Water is also used as a makeup remover by many. Some even recommend this product for aromatherapy. The last formula on our list is the Poppy Austin 100% Pure Rose Water Facial Toner which is formulated with 100% pure and distilled Moroccan Rose Water that makes it an amazing face toner for almost all skin types, oily skin type in particular. Rose water, as you might already know, clears the skin of its dirt, impurities and excess grease. Apart from that, it also tightens our skin pores to reduce the secretion of sebum through them. 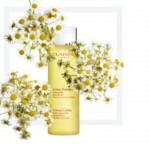 The face toner makes the skin more radiant by enhancing the hydration level. It also makes the skin suppler and flexible. The soothing rose fragrance helps relax your skin and mind and is therefore, recommended for sensitive skin as well. 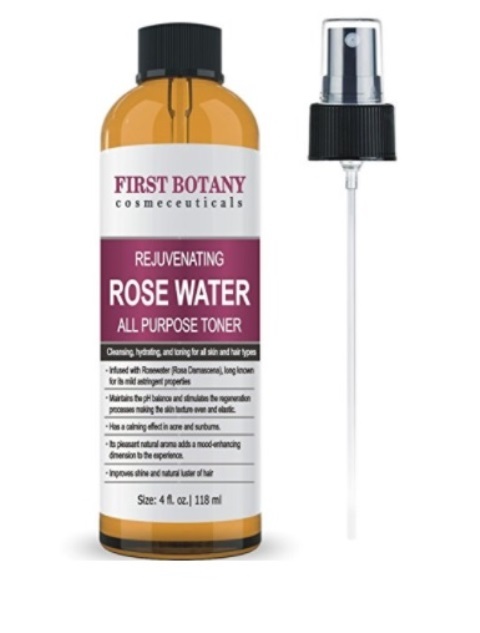 The third product on our list today is the First Botany Cosmeceuticals Rejuvenating Rose Water Toner. This one is a multi-purpose toner which not only loos after your skin, but also efficiently takes care of your skin. Many people are known to use this toner on their skin after shaving. So you know how soothing the toner is. This toner is also extensively used in aromatherapy. If you like pampering your skin, then definitely go for this skin toner. The formula contains 82 per cent of organic rose water content, and yet the product is potent enough to help you hydrate your skin and tone it as well. This toner comes in the form of a spray. 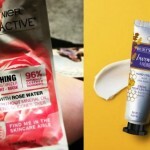 So you don’t have to use your hands while applying the toner and that prevents bacteria from transferring from your hands to your face, thus aggravating your face. 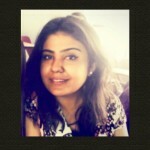 That is all we have on today’s post on how to choose the best rose water toner for all skin types. Did you like what you read? If yes, then you might like us on Facebook too. Will you be recommending it to others too? If you have makeup queries that you would like to share with us, then please do so in the comment section below. Our experts will get back to as soon as possible. In today’s post, we will tell you all about choosing the best rose water toner and why rose water makes for a good toner. 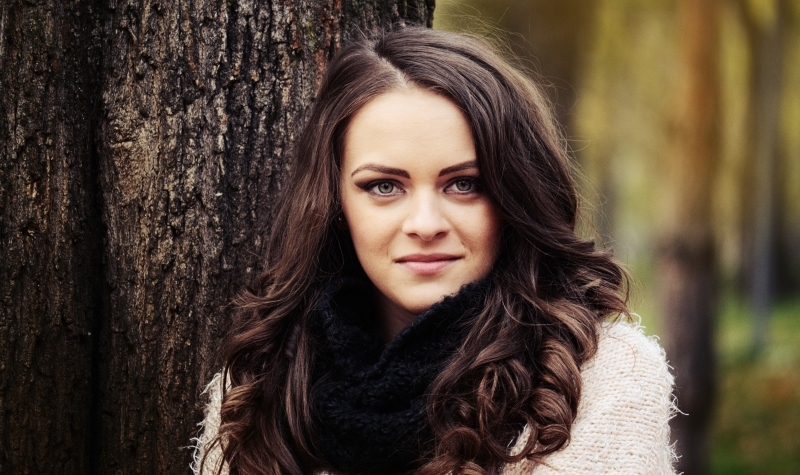 The Ultimate Frizzy Hair Solutions For You!